- Publisher Do you love music? Do you really love music? Then you won't want to miss this! 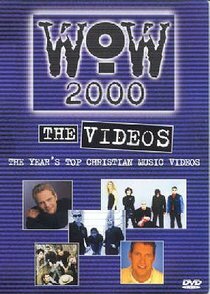 WOW 2000 has Christian music's top videos from your favorite artists on 1 DVD. Plus! You'll discover great music from 6 up-and-coming artists that are some of the best-kept-secrets in Christian music. WOW 2000 - The Videos will quench your thirst for great music and the Christ-centered message will lift you up throughout the day. Pick one up today and be sure to share it with a friend. Do you love music? Do you really love music? Then you won't want to miss this! WOW 2000 has Christian music's top videos from your favorite artists on 1 DVD. Plus! You'll discover great music from 6 up-and-coming artists that are some of the best-kept-secrets in Christian music. WOW 2000 - The Videos will quench your thirst for great music and the Christ-centered message will lift you up throughout the day. Pick one up today and be sure to share it with a friend.